We could store pps/bps/flow number for top 7 (could be configured) host in incoming and outgoung directions. In addition to this we export total pps/bps/flow number which flow over FastNetMon. Whisper – it’s database for data. 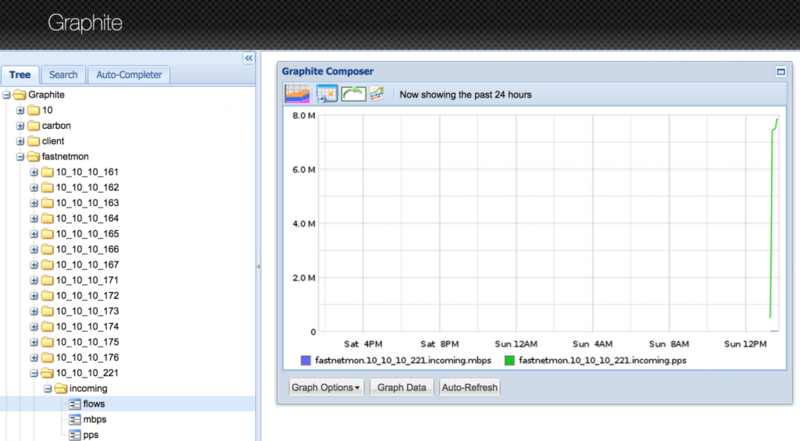 Graphite – service for storing and retrieving data from database. Some useful graphics for Graphite. Also I recommend to configure Graphite this way.